D & S Appliance Services is a business providing services in the field of Home goods store, Store, . The business is located in 447 East Central Street # 6, Franklin, MA 02038, USA. Their telephone number is +1 508-528-3869. Anytime I've been in contact with D&S, it's been a pleasant experience. Here's hoping we don't need them again, but here's hoping they are there if we do. So frustrating trying to find people you can trust. First class service!!! A great business to work with on our washer repair, they gave us the labor cost upfront at scheduling and the repair team was professional and highly experienced replacing several old worn parts, very reasonable and efficient - from scheduling to completion within a couple days.The old washer runs like new and I will definitely use them again! We had our Maytag washer for barely 2 years and had some issues with it. Angel came by and did diagnostics on it. He found problems and it was determined additional parts were needed to fix the problem. I want to thank Angel for not giving up on the problem and seeing the issue through to the end! It seems nowadays it is easier to get a new appliance instead of fixing an older one which is why I appreciate his attention to detail. Because of his knowledge and hard work the washer has worked flawlessly since his last visit. As the response suggests below, one of the owners did contact me to apologize and offer to order the needed parts and repair at no charge ... with a different technician. It was nice to see how responsive the company was to a complaint and working to turn this bad experience into a good one. I will post again once complete. Just want to finalize review. The service tech (yes, a different one) arrived today. He was prompt, friendly and did a great job repairing the dishwasher. Again, I was pleased to see D&S step up to the plate and make this right. Nice job guys. I will call again should the need arise. D&S was referred to us from KitchenAid. The service tech was very rude and condescending. We had just bought the condo where the expensive ($1800) 2 year old dishwasher was installed. The problem was that we found it leaked after a few minutes when we ran the dishwasher. The tech said that he could see some mouse droppings so obviously we had a mouse problem. He could order the motor as he thought that might be the problem, but we could very well have extensive damage due to the "mouse problem". He also suggested that perhaps the pipes froze because we had just moved in, the previous owners obviously didn't live there for quite some time due to the "mouse problem". The previous owners moved out two days before we moved in and the heat was set to 65. There was no sign of mice anywhere and no mouse droppings in site. We generally would not have taken the front off the dishwasher to clean it. Those droppings could quite easily have been there since the condo was built. No signs anywhere else of droppings. He said if I wanted to haul it out from under the counter, he would replace the motor, but if that wasn't the problem, we still had to pay for it. When I questioned him about "me" hauling out the dishwasher, he said he wasn't about to do it as we could have all kinds of diseases due to the "mouse problem". He suggested we just go buy another one. I reminded him that this was an expensive until. He suggested that I just to go Lowes and buy one for $300. Really ? All the appliance are high end, I'm not about to put in a cheap model. Sorry, will NEVER do business with this company again and will tell everyone of my experiences. 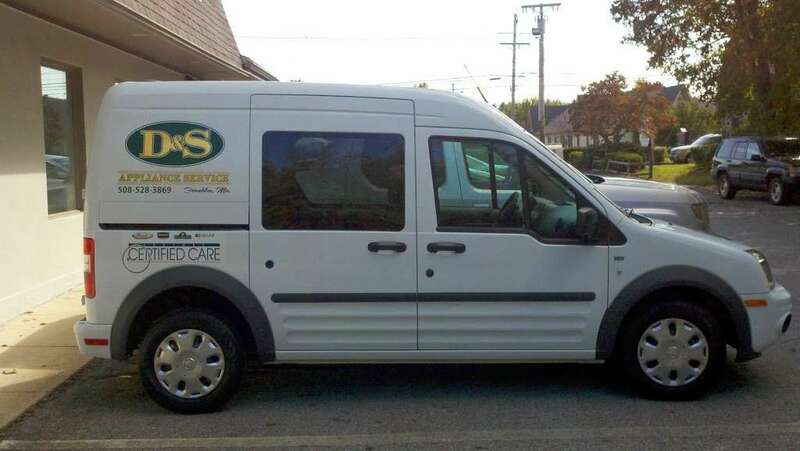 Contact D&S Appliance Service, Inc. at 508-528-3869 and schedule your service call today, or you can book your appointment to fit your schedule right now with the link on the top right hand side of this page. If you need parts only, call our parts desk at 877-270-3559. US Business Directory. State: Massachusetts. Businesses starting with D_. Page 154. Find 470 listings related to Appliance Service Company in Dudley on YP.com. See reviews, photos, directions, phone numbers and more for Appliance Service Company locations in Dudley, MA. &#8203; Our Factory & EPA Certified Technicians are insured for your peace of mind. 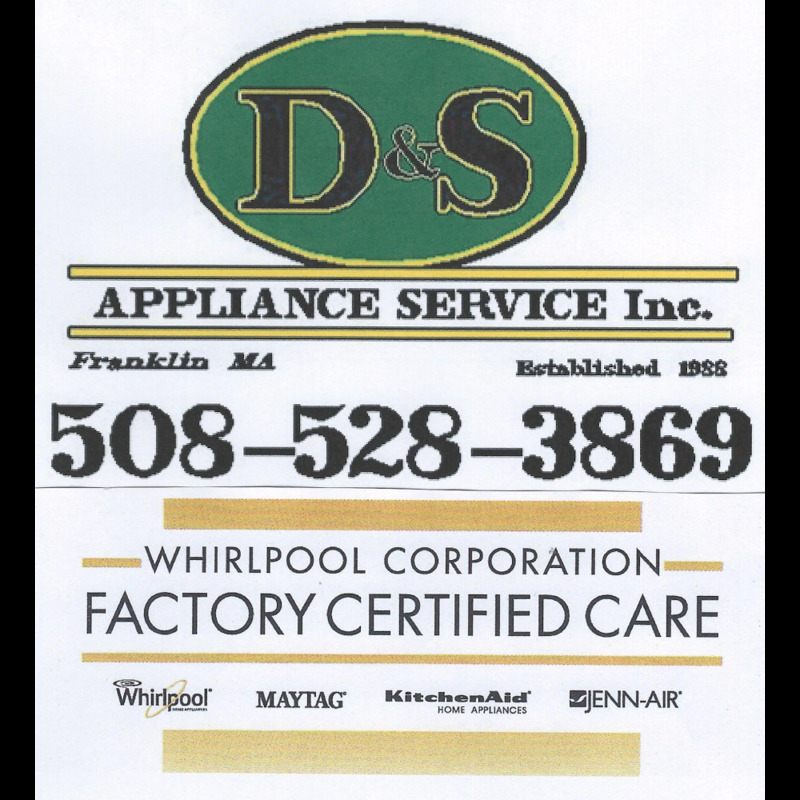 &#8203; Contact D&S Appliance Service, Inc. at 508-528-3869 and schedule your service call today, or you can book your appointment to fit your schedule right now with the link on the top right of this page. Call today 508-644-6204, for a 5 star appliance repair service if you are located near Plainville or in Norfolk for same day or next day appointmen... Read More 2. Find the Best Bellingham, MA Refrigerator Repair on Superpages. We have multiple consumer reviews, photos and opening hours. Search the MA, ME, VT & RI Better Business Bureau Accredited Business Directory of Appliance Repair Businesses for ratings and reviews. Our Factory & EPA Certified Technicians are insured for your peace of mind. 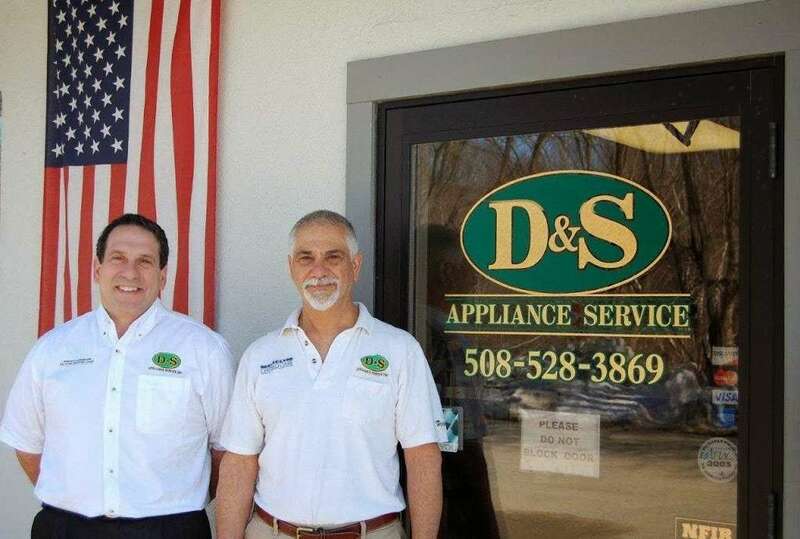 Contact D&S Appliance Service, Inc. at 508-528-3869 and schedule your service call today, or you can book your appointment to fit your schedule right now with the link on the top right hand side of this page. If you need parts only, call our parts desk at 877-270-3559.